With iPhones and GPS, who really uses maps anymore? They’re practically obsolete, but here at Beauty Riot, we’re bringing the map back. Well, the fashion map, that is. 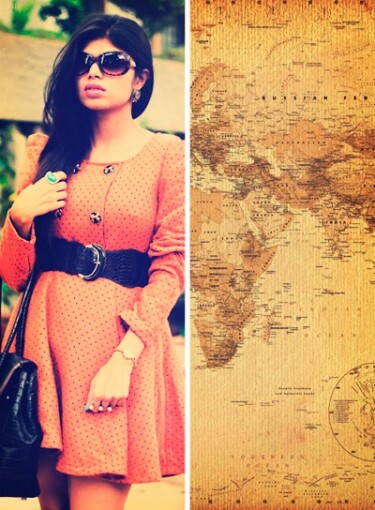 The fact is, style is global; it exists all over the world, not just in certain fashion capitals. And while a desire to express yourself through fashion is universal, the specifics and details change depending where in the world you are. Click here to see our ultimate fashion map. We checked in with top international fashion bloggers to get the scoop on their city’s style. What did we find? Gladiator sandals are big in Serbia, and mixing prints is huge in the Philippines, but pretty much no matter where you live, everybody shops at Zara. It’s kind of nice to know there are some things that connect fashionistas across the continents. And if you plan on adding a few more stamps to your passport and find yourself visiting these chic cities, use this fashion map as your personal travel guide. Not only did these on-trend bloggers let us in on what’s hot, but they also pinpointed where to eat and explore while in their hometowns. Want to know what to pack if you’re visiting London or what delicious dessert you’ve got to try while in the Philippines? Keep clicking.